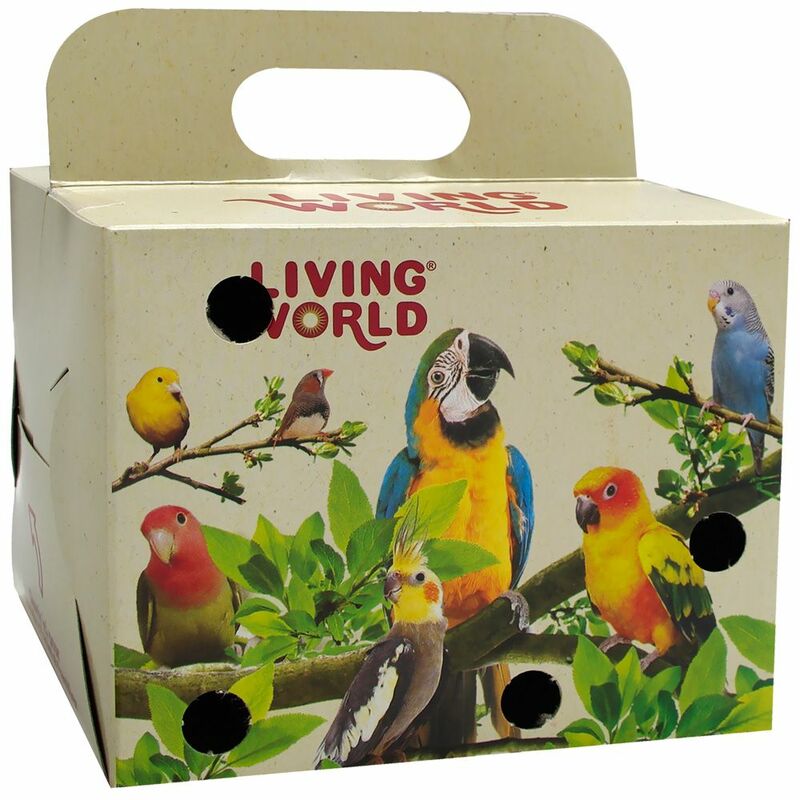 Living World Pet Carrier box provides a safe and worry-free way to transport small birds like Budgies, Canaries and Finches. 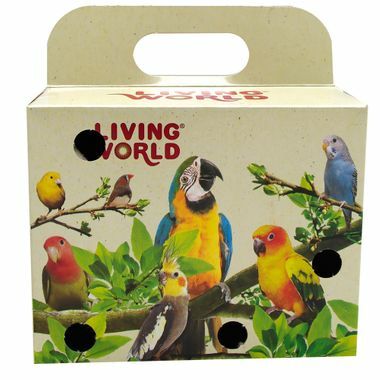 I used this to transport a zebra Finch from my home to a friend's housewho was adopting it. It worked well.